It was past 12 mid night and he had rushed to the hospital at my invitation and a call to save a soul. 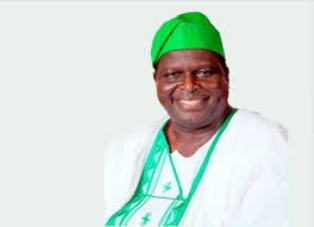 Though Otunba is not a medical doctor, he does have this profound ability and insight to make light out of darkness. Gifted, intellectually robust, kind and effusive about helping people and nation, Otunba Runsewe has over time proved to the industry and the players that he is a friend in need and indeed. From structural and manpower content to festivals, arts/crafts with inter agencies and governmental strategies, local and international marketing and advocacy, Otunba Runsewe left me in stupor, re-energised and rekindled my hope and faith on our nation and our very many untapped, unappreciated and left to rot culture and arts economy. A cursory look at the various outing of NCAC in 2018, revealed that the key steps and intention of a leader conscious of the expectations and demands of his office and that of the people. His first key and strategic step is to give hope again to a workforce drained of the faith on their callings and nation. Teacher, advocate, administrator per excellence and mentor, Runsewe’s father figure brought the supposed laid back workforce of NCAC into prominence and with the work environment. Restructured and reworked to create a living organisation. He flew into Lagos, met with the community of Arts and Culture practitioners and announced a change in orientation and organisation. To the Bank of Industry, he collaborated to create intervention fund for practitioners, who may wish to create a better export market for Arts and Crafts. Though the Federal budget for this strategic institution is very low on ebb, Runsewe determined to break new grounds, took the message of culture as new oil to the 36 state governors and commissioners of culture. At the World Cup in Russia, Runsewe parachutes our culture into the homes of Russians and their visitors. The red square in Kremlin became Nigerian square and the world took note. At home, same parachute efforts was deployed to NAFEST in Rivers State, never seen before and today, a great gain of this government to Nigerian and the world that our culture is truly an enviable economy. Were you at International Arts and Culture expo in Abuja last November? It was classical message and affirment to the works and vision of a man ahead of his time, a great partner in national development, a culture and tourism advocate and wealth creator. Happy New Year, Dear Readers. Frank Meke , a Media Consultant and Tourism expert,writes from Lagos. Be the first to comment on "Runsewe: How He Parachute Culture Into Limelight By Frank Meke"